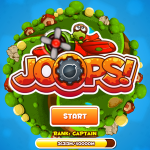 The free online game “Joops” was added to the Arcade section of our website. 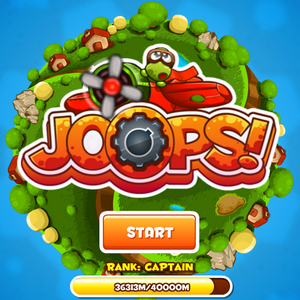 Fly your plane through the levels without hitting any of the objects and without getting hit by a missile. Use your MOUSE or the ARROW KEYS on your KEYBOARD to Move. Be sure to get the Stars for points and to obtain the Bonus Items. Upgrade your plane between levels. You can Quit and SUBMIT your score at any time by Clicking the Pause Button then Clicking the SUBMIT Button on the lower-left-hand corner of the screen. Be sure to note that this game is not mobile friendly so its best to play it on a desktop or laptop computer. To begin playing click here to go straight to the game, or you can go to urbanareas.net/games to visit the main games section.